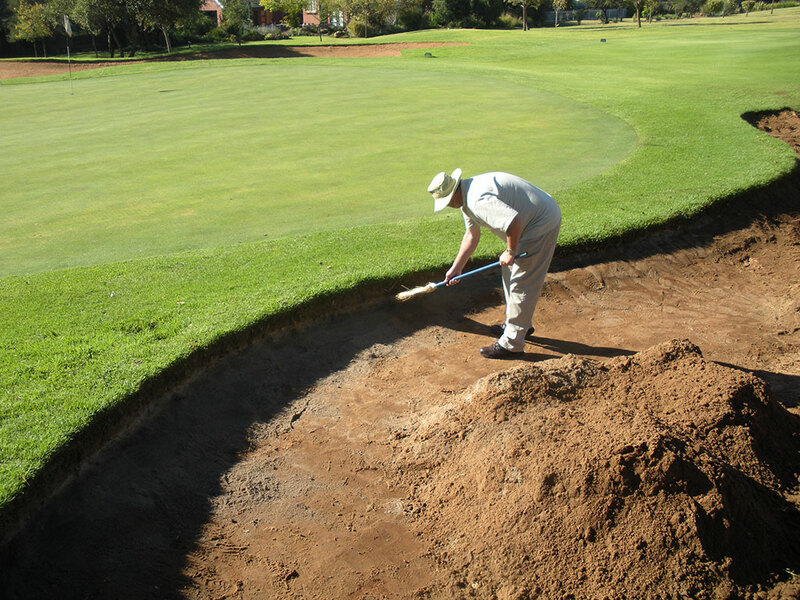 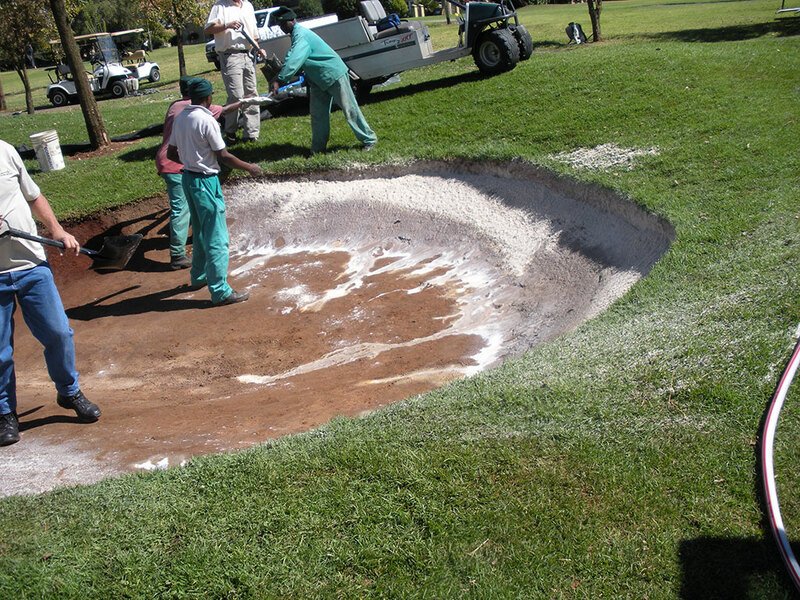 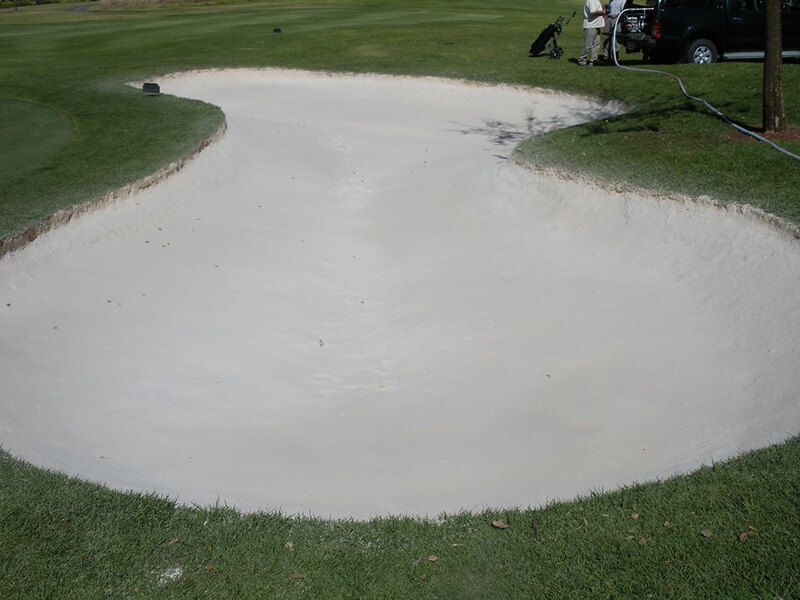 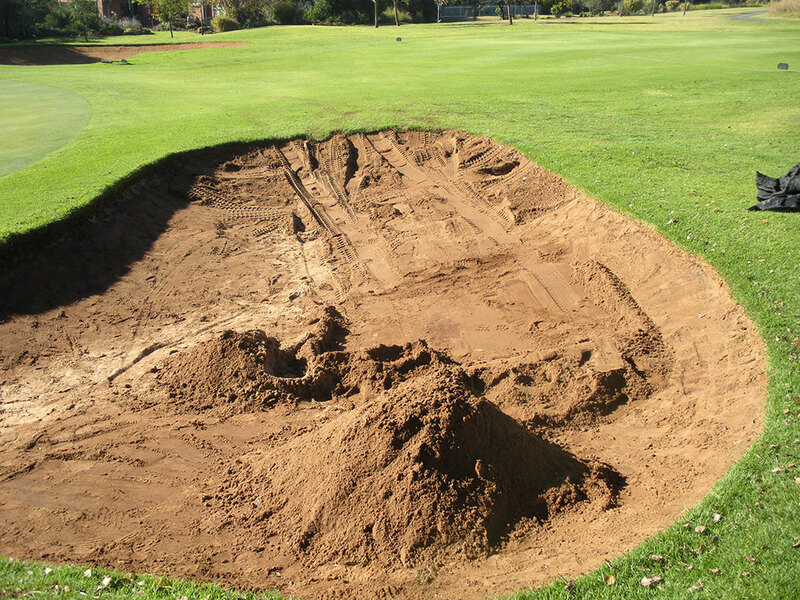 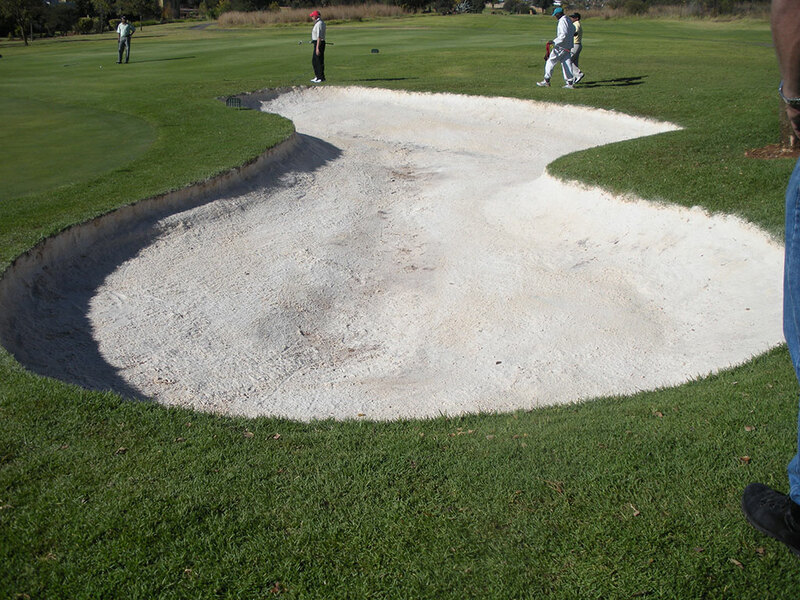 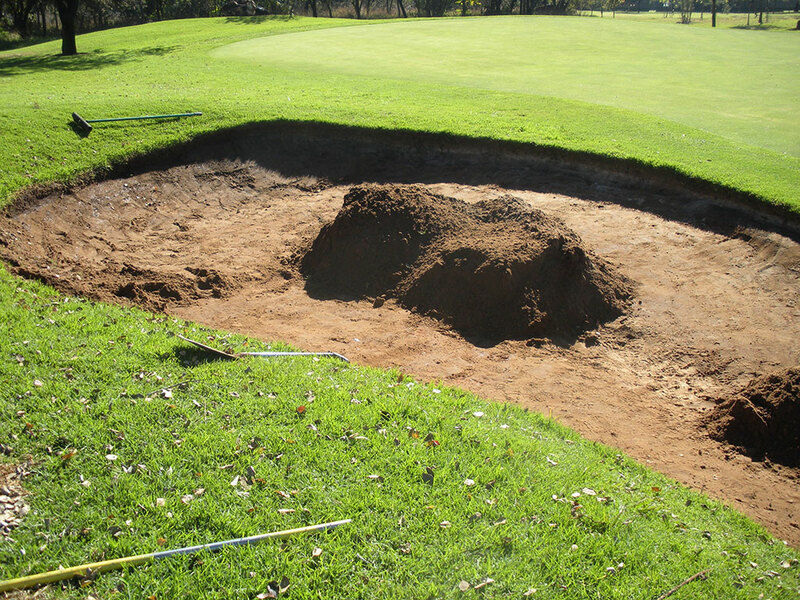 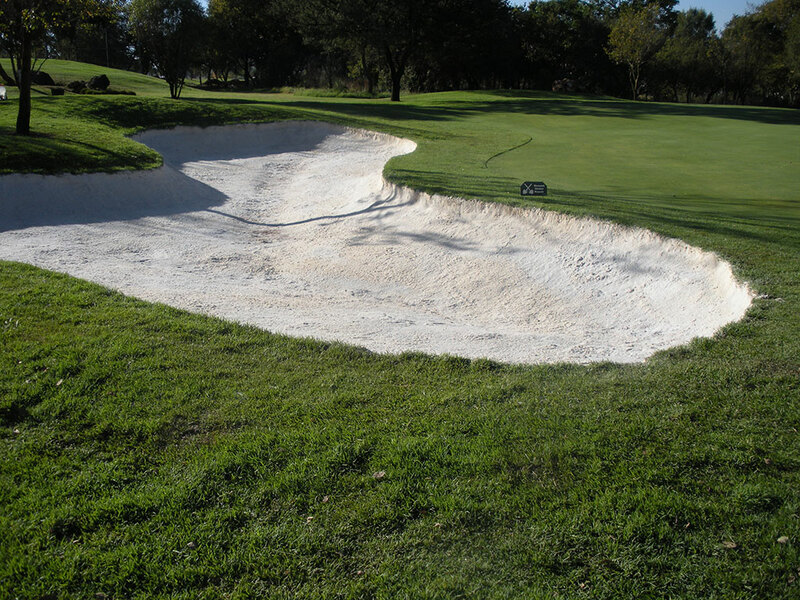 On-Course Solutions has perfected the Bunker. 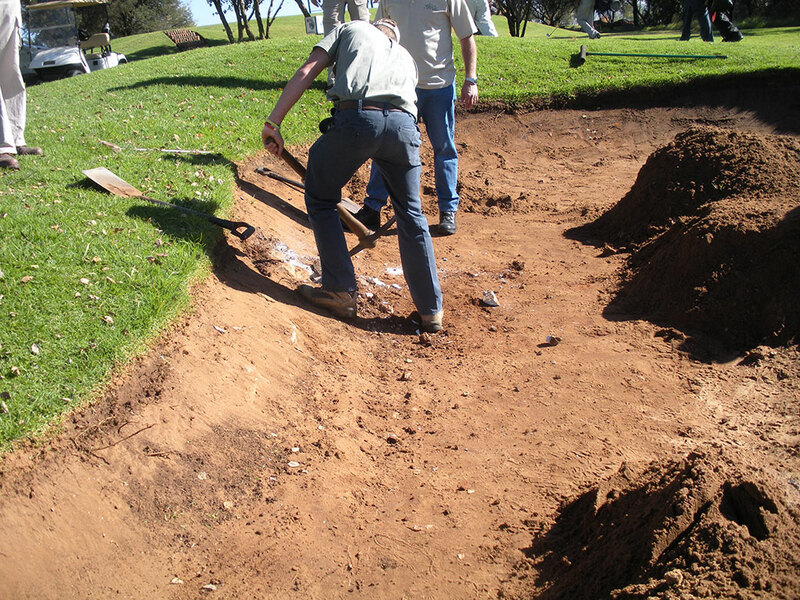 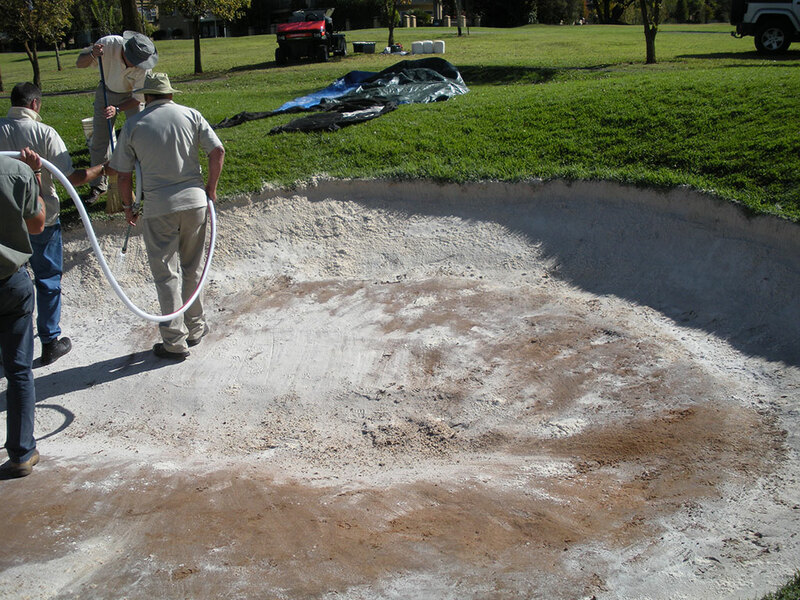 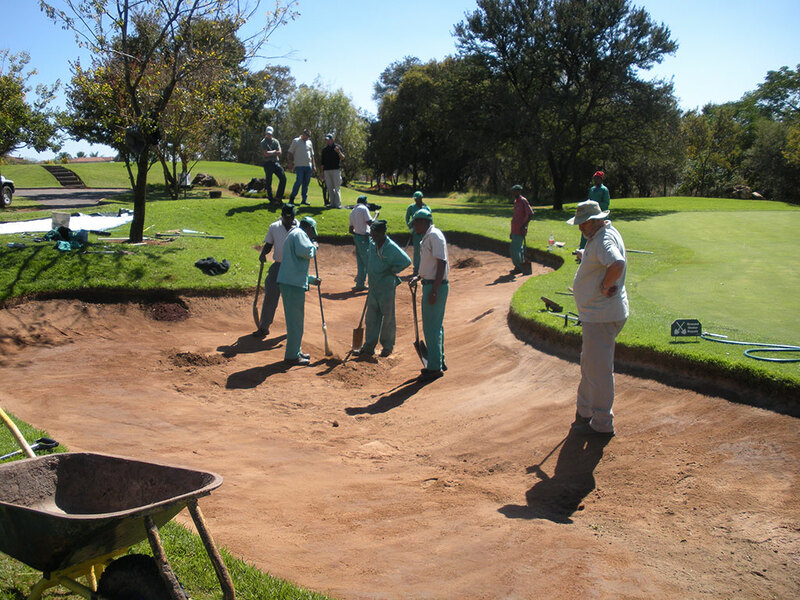 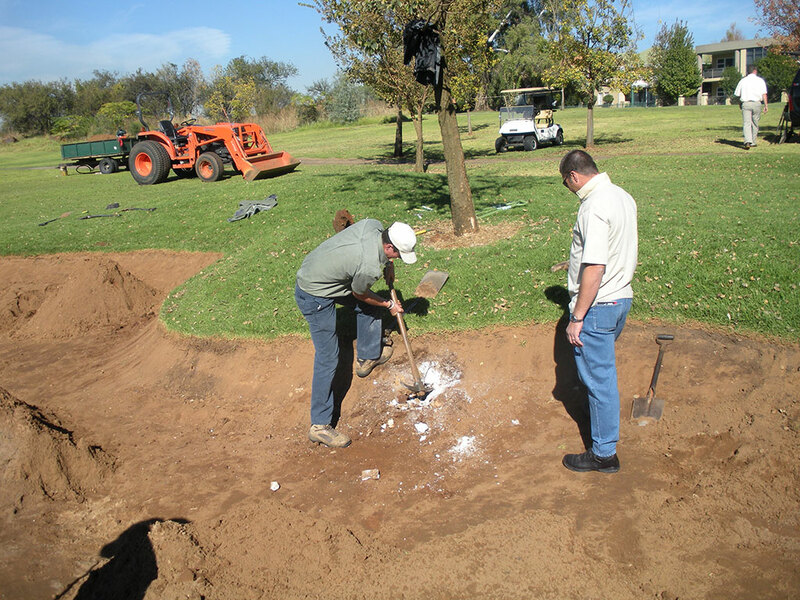 The Centurion Bunker stabilization demonstration (Centurion Country Club) included the implementation of basic preparation combined with our revolutionary Bunkertac Application and Sand Flashing Methods. 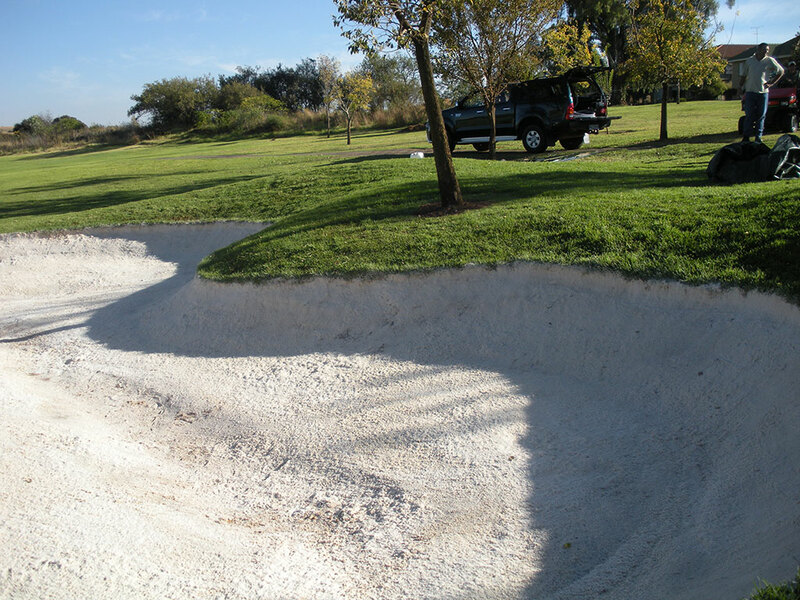 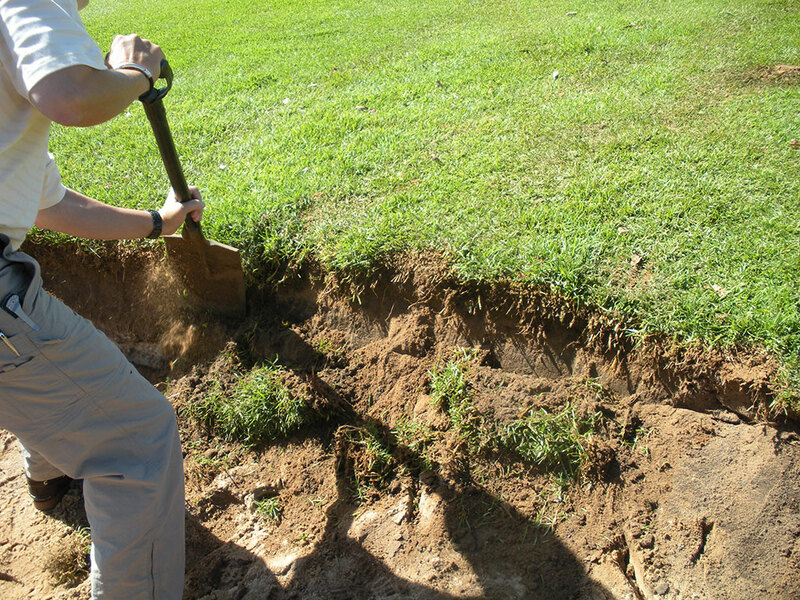 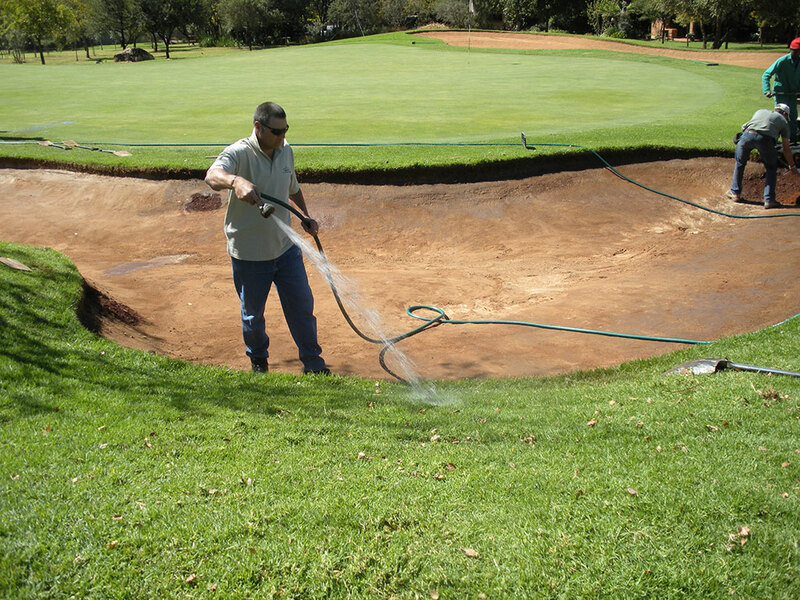 These methods guarantee effective results in erosion control, improved aesthetics, reduced contamination and protection of Golf course design integrity. 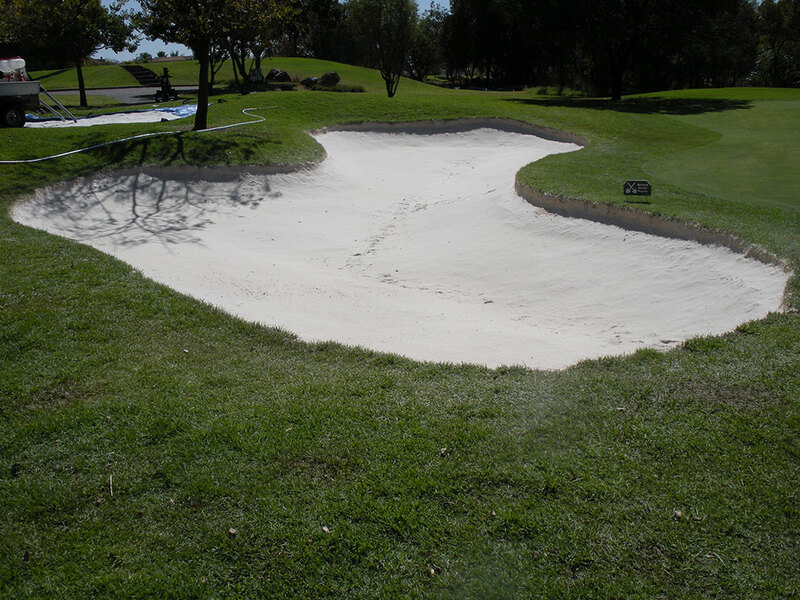 Existing sand is contaminated due to lack of erosion control and stabilization. 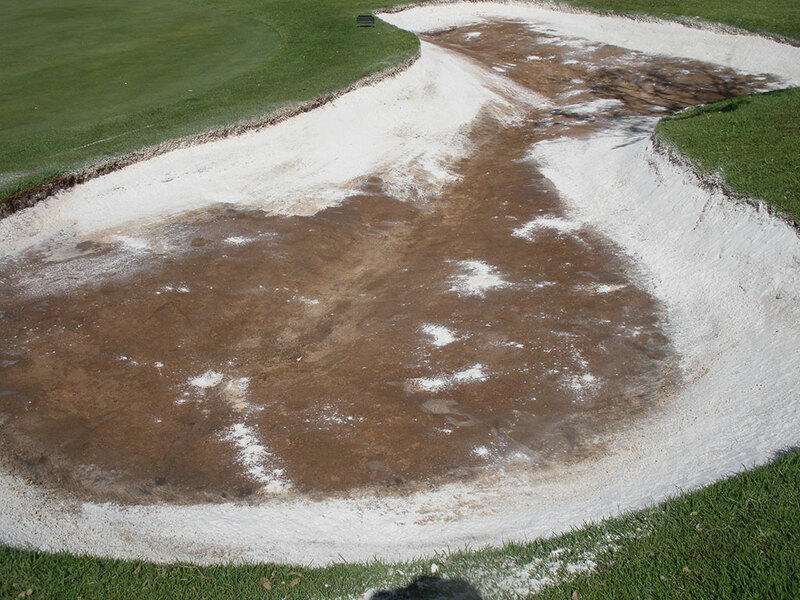 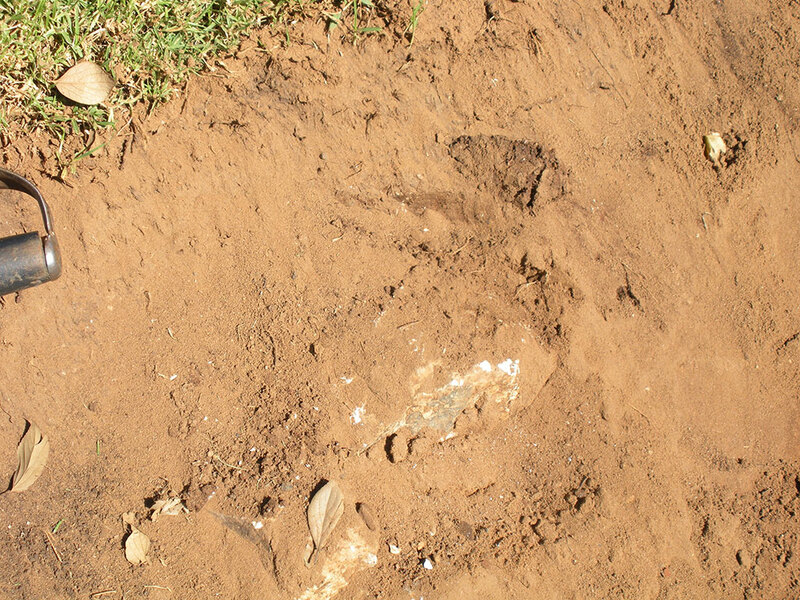 Existing sand is removed.